HomeBlog November 2015 5 Mixed Media Ideas for Holiday and Gifting! 5 Mixed Media Ideas for Holiday and Gifting! The holidays are the perfect time to get creative with holiday decor and DIY gifts! We're sharing some of our favorite projects, including this pallet Christmas Noel Decoration, that our team imagined up using our new FolkArt Mixed Media line, now in store at select Walmart locations. The paints, sprays are tool make it easy to layer colors and textures in all your mixed media creations. 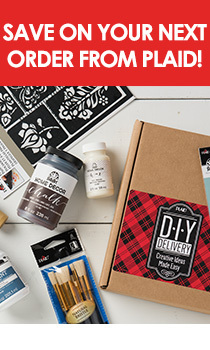 Learn more about FolkArt Mixed Media, and let us know how you plan to craft this season in the comments! We love these whimsical ornaments - make several for gift ideas or create an entire boho themed Christmas tree! Pay homage to your fave feline or Fido with this mixed media collage - the pet lover in your life will love it! We love looking at all our photos online, but having them in an offline album makes them super special! Decorate a photo album and fill with snapshots for a surefire hit of a gift! Subscribe to the Plaid newsletter for more great inspiration!